Truly one of the best values in the gated community of Sunterrace. Solar owned for incredible power savings! 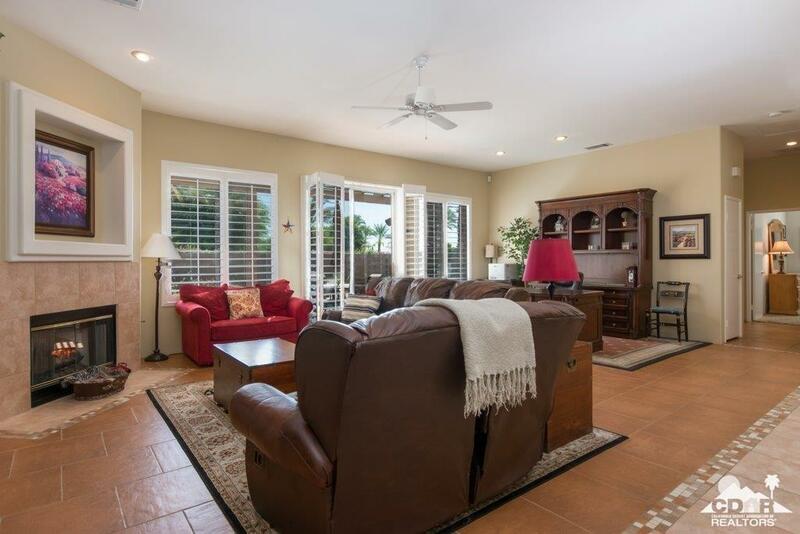 This contemporary home features 4 bedrooms including a separate guest house/casita. Private courtyard entry. 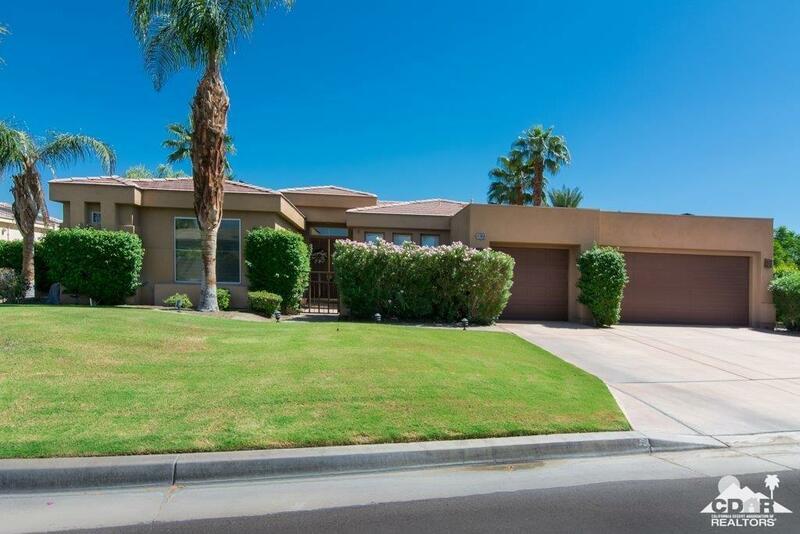 Gorgeous mountain views with no homes behind or directly to the south! Adjacent to open greenbelt area. Master suite on its own side for privacy. Popular great room concept with entertainment center and fireplace. Window shutters throughout. 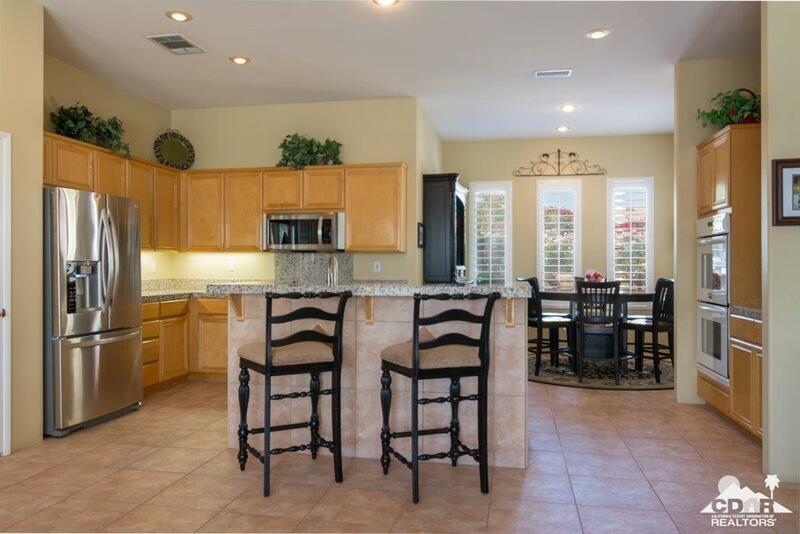 Perfect for family/entertaining featuring a pool/spa plus an outdoor Pergola with a built-in BBQ. Electric awnings plus Alumawood covered patio area. 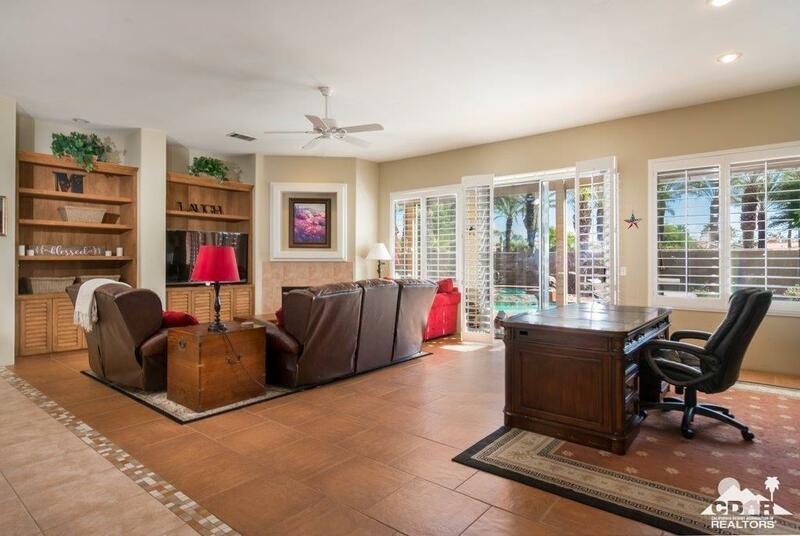 Fantastic location only minutes away to shopping centers, great dining, resorts and golf. Listing provided courtesy of Carlo Lombardelli of Re/Max Consultants.